Milliamp process clamp meters can measure mA signals without breaking the loop. 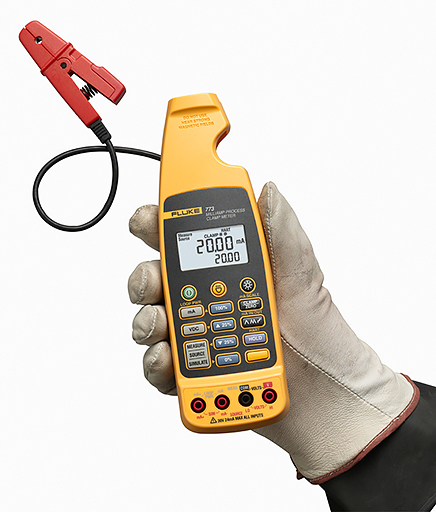 The Fluke 773 mA Clamp Meter is Fluke’s premier mA Clamp Meter, providing you with the best in troubleshooting and process calibration power. 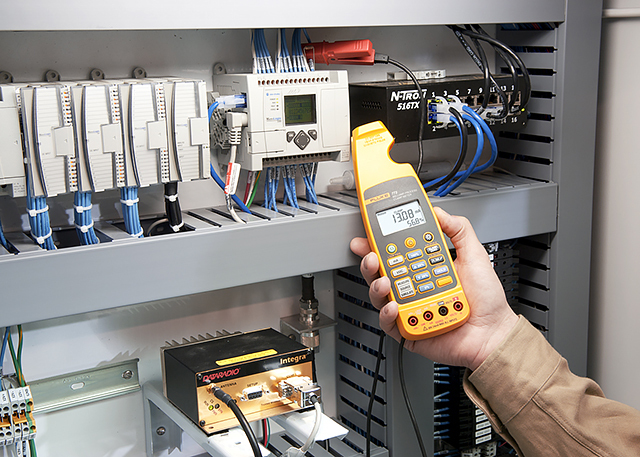 If you need more time in your busy day take a good look at the Fluke 773 mA Clamp Meters. It’s designed to save you time, and money, by eliminating time wasting activities. Now you can troubleshoot and repair 4-20 mA loops without breaking the loop or bringing down the system. Measure mA signals for PLC and control system analog I/O without breaking the loop. Troubleshoot voltage input and output devices. Source 4 to 20 mA signals into valves and mA signal conditioners and simultaneously measure 4 to 20 mA positioning output signals. Substitute testing of the installed 24V loop power supply. Power a transmitter and measure its mA output signal for troubleshooting. What’s the difference between the 77X models?